It is said that the violin is a magical instrument. That from such a small body would bring a so deep and powerful sound is really extraordinary. 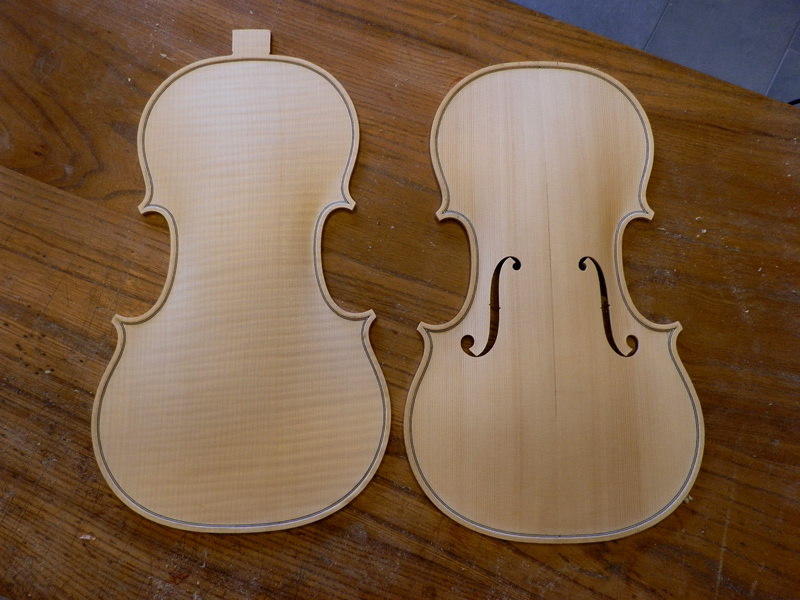 Bow instruments have a special charm that can be felt from the early stages of their manufacture process. 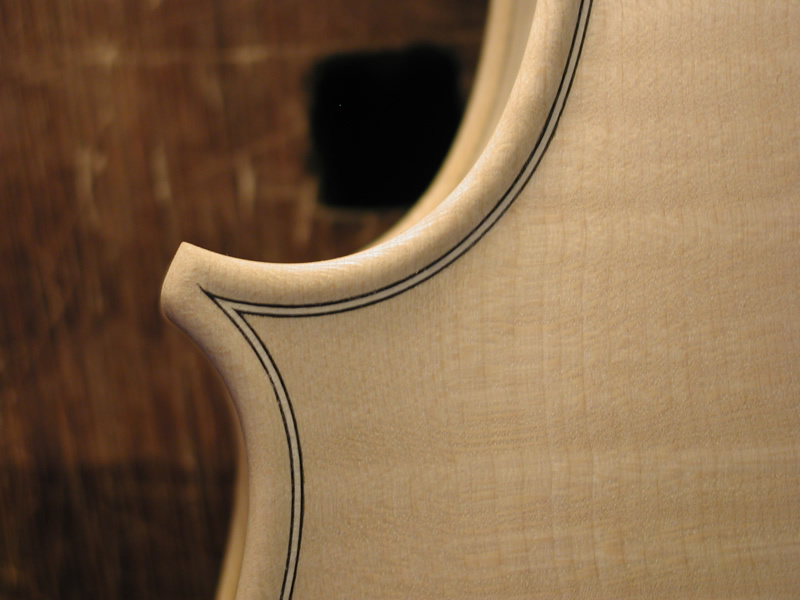 Every little detail of the violin is expertly edited with skill and dexterity of the luthier who emphasizes aesthetics and sound. The main goal is always to create a balanced, versatile instrument, easy to play and of great acoustic personalities to give the finished product its distinctive and unmistakable sign that makes it unique and valuable. The models by which I have been inspired are definitely linked to the classical tradition, the elegance of the Stradivari and estrus of Guarneri but a very important reference for me is also the Italian violin making dating back to the early 900, with Soffritti, Garimberti, Ornati, Sgarabotto, makers who participated in the second golden age of violin making after a decadent century. I make and develop mainly three violin projects taking inspiration from three important luthiers of the past: two of ancient inspiration with references to Antonio Stradivari and Guarneri del Gesu, another contemporary inspiration that refers to Ferdinand Garimberti. The same studies of the authors of the past are applied for the construction of violas (with tuning fork that goes from 38.5 to 42cm) and cellos. The woods used are certified and top quality, seasoned for at least 20 years which limits the possibility of deformation over time and ensures responsiveness and exceptional sensitivity to vibrations. The careful choice of materials gives me the ability to create instruments with high dynamic range between "Piano" and "Forte" with a great depth and richness of harmonics. 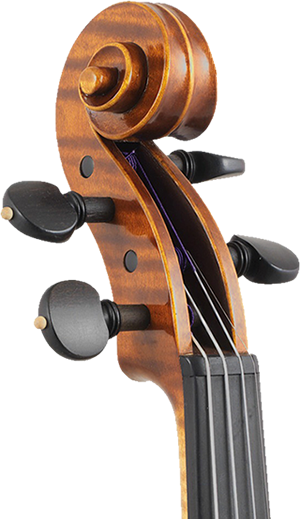 Each interlocking and bonding is done with careful accuracy so that in the end the 72 pieces that make up a string instrument are and behave like a whole. The personal style that emerges from the details is soft and charming. The varnishing, a very important stage, is primarily done using paint obtained by mixing natural resin dissolved in alcohol, with the addition of colors ranging from orange / brown to red to brown. Or by using an oil-based Amber varnish. All varnish are prepared in the laboratory according to personal recipes refined over time that give today's excellent results of elasticity, strength and lightness. The frame is given great attention thanks to the many specialized courses in this regard. Pegs, fingerboard, bridge, soundpost, frets are processed so as to give the optimum set-up , an execution comfort and a surprising dynamism. I believe in the quality of every single detail, in the care of the nuances, in instinct and enthusiasm. The challenge is to make even a better instrument than the previous one. And this is magic aspect.